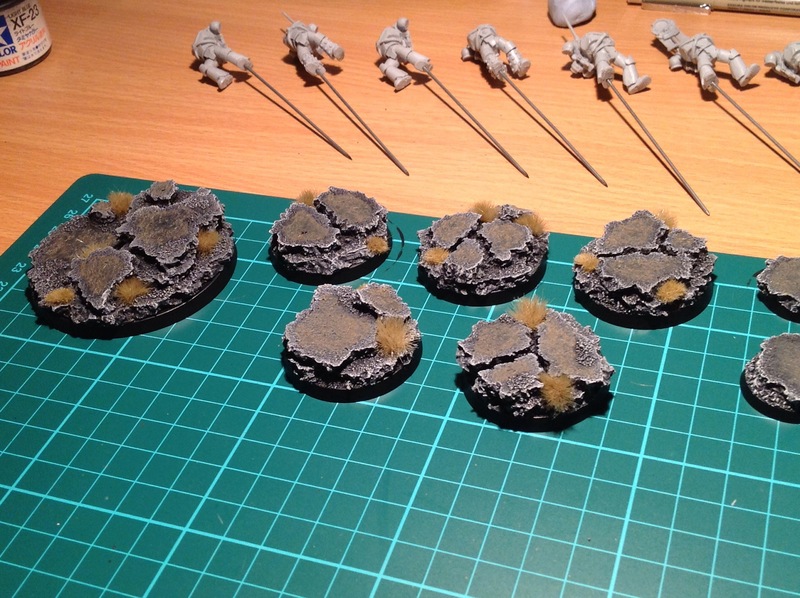 So, today I painted up my new cork bases for my upcoming Imperial Fists army. Never made bases with cork before, as I was more a traditionalist, using PVA and sand (boring! ), so after a little YouTube searching I took the plunge. Turns out, it’s easier than I thought, and now that they’re painted, I’m even happier. All I need to do now is find the time to start on the actual models themselves! As you can probably see in the picture above, they’re not even ready for undercoat yet. Bad time of year I suppose, especially as I’m probably going to be working over Christmas as well. Even so, I’ve got to get these bad boys done for March, so I best get my finger out. Next Next post: A little headway.